Two-color silkscreen print and photocopied zine. 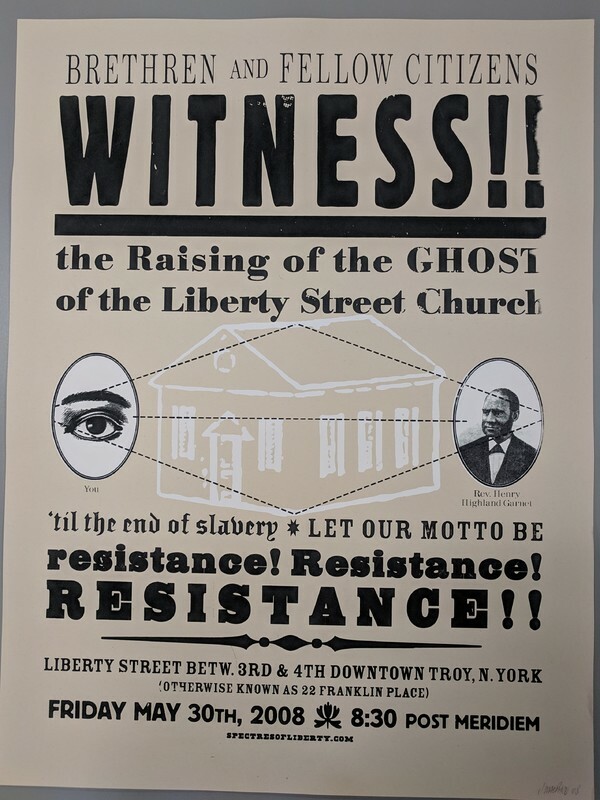 The zine contains the complete reprint of Rev. Henry Highland Garnet's 1843 "An Address to the Slaves of the United States of America." 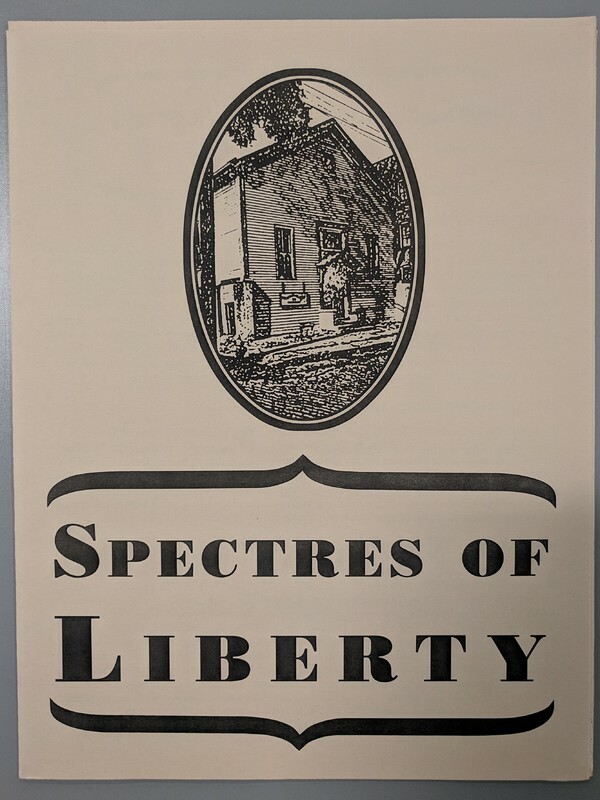 Olivia Robinson, Dora Greenwald, and Josh MacPhee, “Spectres of Liberty ,” Digital Exhibits | Denison University Archives & Special Collections, accessed April 23, 2019, http://exhibits.denisonarchives.org/items/show/1418.